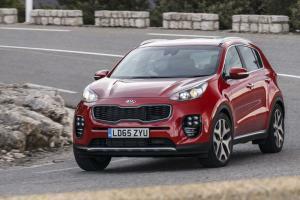 I’ll be honest – when the new Kia Sportage was unveiled at the Frankfurt motor show, I wasn’t entirely convinced by the looks. In fact, there were some angles where it bore more than a passing resemblance to a frog that’s been – shall we say – anally surprised. 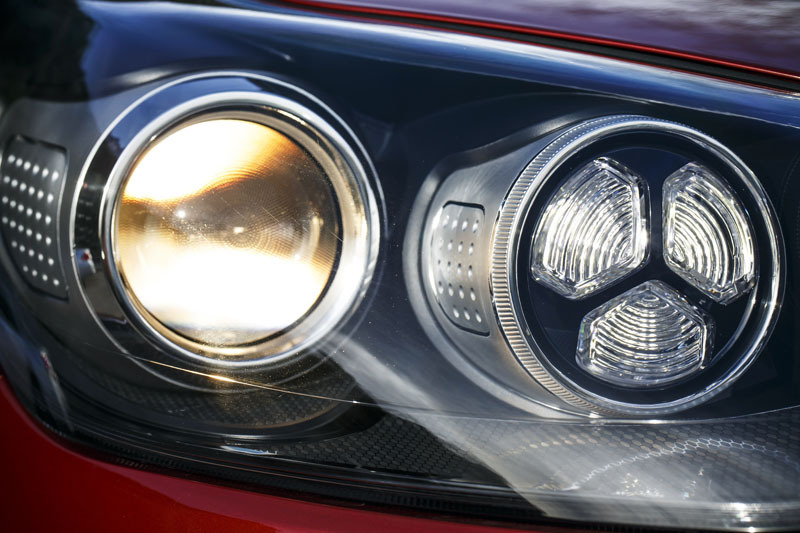 Thankfully, in the flesh it’s quite a handsomely proportioned thing, and it helps that the GT-Line spec of our car beefs up the design with a sporty grille, splashes of satin chrome, ice-cube LED fog-lights, and chunky 19-inch alloy wheels. 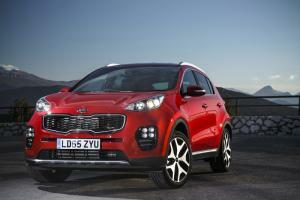 That’s just as well, because the Sportage is an important car for Kia. Not only is it the best-selling model in their range, but it’s also the fourth best-selling car in its class, beating the likes of the Ford Kuga, Audi Q3, and even the Range Rover Evoque. That’s some aspirational name-dropping right there. 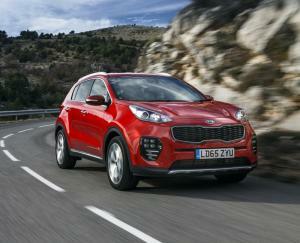 As it turns out, though, the new Sportage is quite capable of cashing the cheques Kia’s upmarket ambitions are writing. 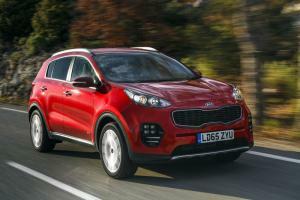 For a start, this new Sportage is even roomier than before. It’s 40mm longer than the old car, with a 30mm longer wheelbase, but Kia have also dropped the floor by 40mm, leading to more passenger space in almost every direction. It’s more comfortable, too, with redesigned seats, a wider range of adjustment, and a dashboard that’s angled towards the driver. 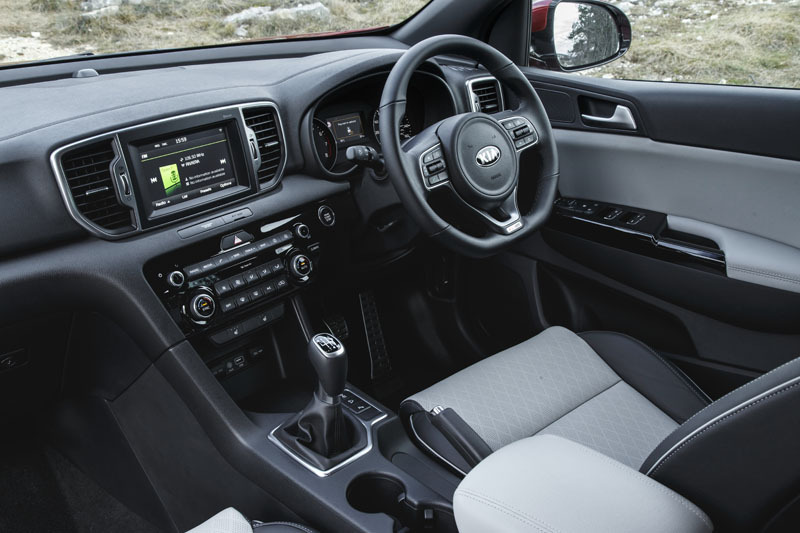 Material quality has been increased, and for the most part everything feels suitably premium, the flat-bottomed steering wheel of our car feeling particularly good in the hands. The media system has had an update and generally performs well, although its insistence at turning the stereo back on each time you climb aboard is a little annoying. Still, there are USB and charging ports liberally sprinkled throughout the cabin, and even the option of a wireless charging pad for your phone. 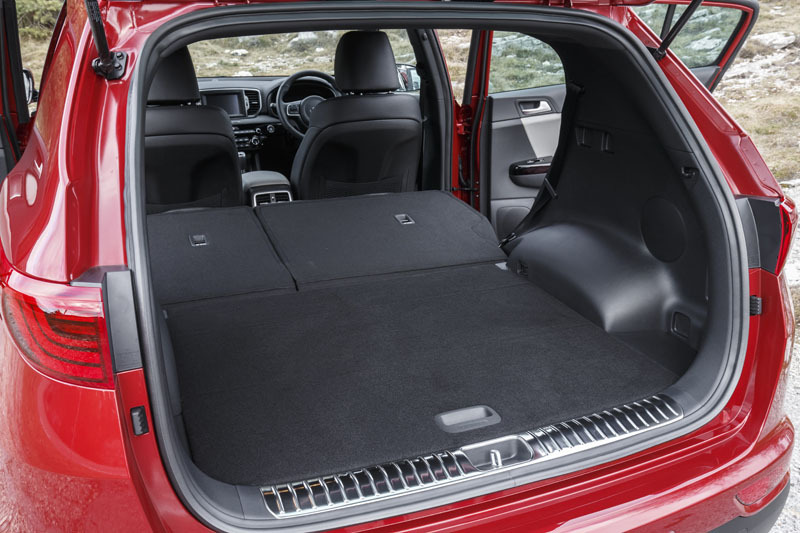 Space in the back is generous, and all but the bottom two models get heated outer seats as standard, while boot capacity increases by 27 litres to 491, complete with a handy underfloor compartment for the spare wheel and a space to store the cargo cover. 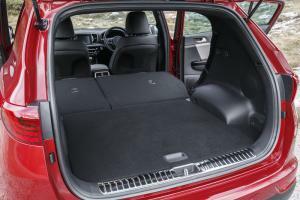 Dropping the rear seat backs increases that to 1,480 litres, complete with an almost flat load floor, although it’s a shame the seats can’t be folded from behind – instead, you have to use a lever on the side of each seat base. The Sportage now features a wider choice of engines, too, starting with 1.7 and 2.0-litre diesels with 134 and 182hp respectively, plus a 1.6-litre petrol with 130hp. The new engine, though, is a turbocharged 1.6-litre petrol as fitted to our car, and it offers an enticing 174hp and 265Nm of torque. 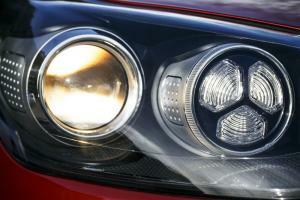 Although most people will probably opt for one of the diesels, it’s a refreshingly strong performer for this market. Peak torque comes in at just 1,500 rpm yet sticks around all the way until 4,500 rpm, making for an impressively linear power delivery. As standard, it’s mated to a six-speed manual with a slick shift-action that’s a pleasure to use, although it’s also available with a seven-speed dual-clutch transmission that’s nearly half a second quicker to 60mph. 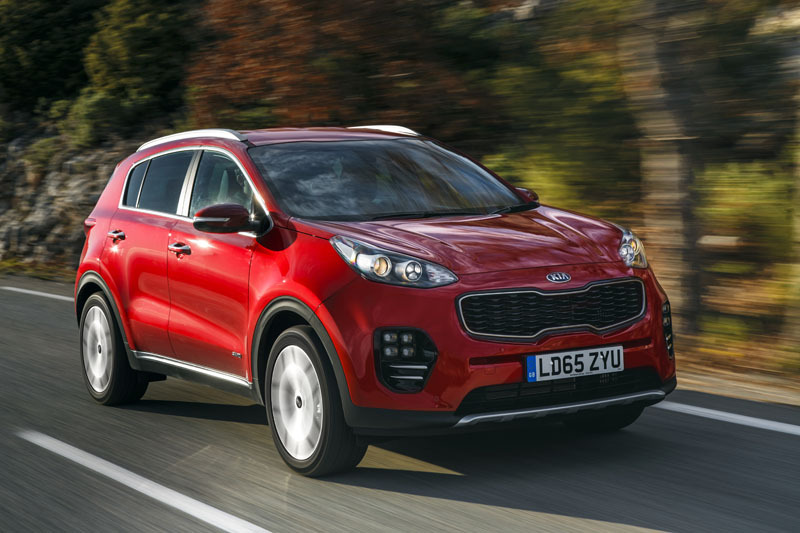 It’s also impressively refined, with engine noise nearly entirely absent once up to speed and out of the low gears, while improvements to the Sportage’s aerodynamics have helped reduce wind noise substantially. Suspension revisions have been primarily aimed at reducing noise intrusion into the cabin, and we’d have to say they’ve been very successful, such is the quietness with which the various twisty-turny bits beneath the floor go about their business. 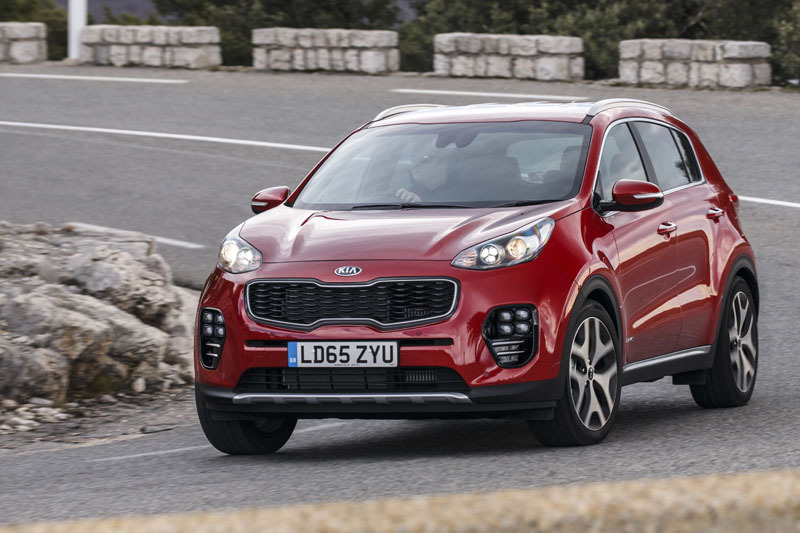 It’s definitely firmer than before, and the 19-inch wheels of our GT-Line car do generate a touch more tyre noise, but the benefit is a pleasing sense of agility, and one that doesn’t dampen the Sportage’s ability to cover large distances in comfort. It’s no sports car, though, and despite Kia’s revisions to the steering – notably relocating the power assistance motor so it’s now part of the rack rather than the column assembly – it’s still light on feedback. But experience tells us crossover buyers want only the merest hint of engagement, without having to be burdened with the full-on experience of it all. 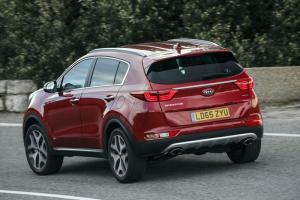 Instead, they want practical, safe, family transport, and here Kia have made yet more revisions aimed to please: top spec models get a radar-based emergency braking system, plus blind spot detection and rear cross traffic alert, while all but the base model get lane keep assist and high beam assist. In a commendable nod to the country set, every model in the range gets downhill speed control and a trailer stability assist system, while 2.0-litre diesel models are now rated up to 2,200kg for a braked trailer. 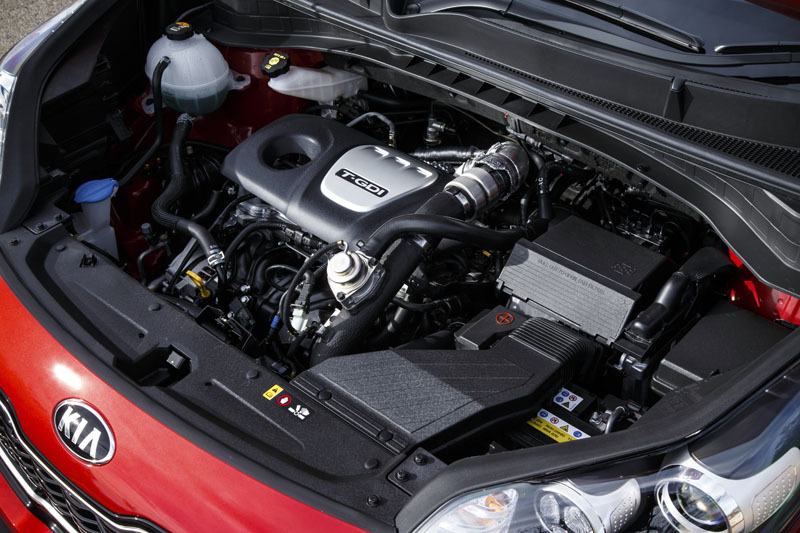 All-wheel-drive models offer 172mm of useful ground clearance, their front-drive biased system diverting up to 40% of engine torque to the rear wheels when required, while a lock button by the gear-lever can be used to split it 50/50. 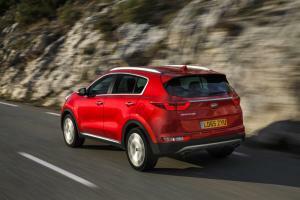 Prices for the new Sportage start at just under 18 grand, with our GT-Line 1.6 turbo coming in at £24,350. Compared to the old model, prices have definitely moved up a little, and by more than £2,000 for the top-spec models, but with the improvements in emissions and economy – our car recording an average of around 33 mpg – it’s likely they’ll prove cheaper to run. 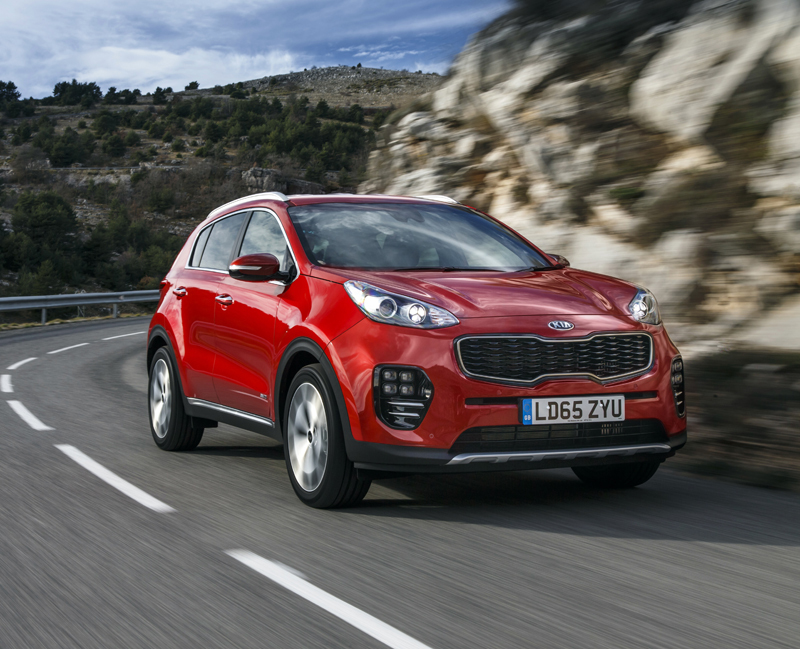 During the course of a week’s testing, the Sportage proved itself to be one of those cars that’s just so easy to live with. It impressed us with its sense of quality and refinement, plus its ability to carry large loads and people in comfort over long distances – all while offering a welcome touch of sportiness to a market segment that can otherwise feel a little bland. 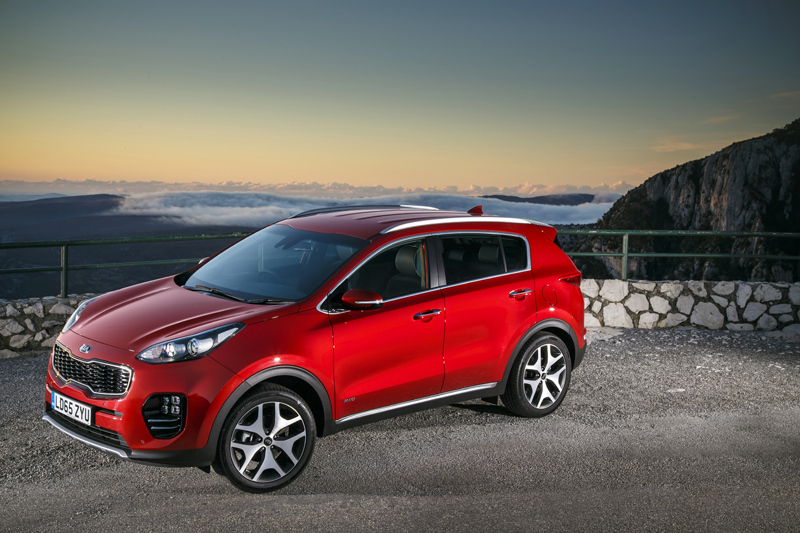 Because that’s one thing the new Sportage definitely isn’t. Stereo turns back on with ignition – can’t turn it off without turning off whole system inc. nav, etc.